Female Announcer: This program is brought to you by PersonalLifeMedia.com. Sean Daily: Hi! 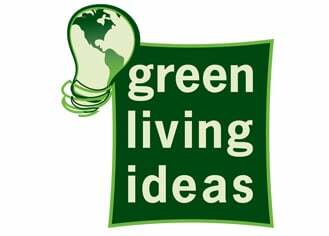 Welcome to Green Talk, a podcast series from GreenLivingIdeas.com. Green Talk helps listeners in their efforts to live more eco-friendly lifestyles through interviews with top vendors, authors and experts from around the world. We discuss the critical issues facing the global environment today as well as the technologies, products and practices that you can employ to go greener in every area of your life. Sean Daily: Hey, everybody! Welcome to another episode of Green Talk Radio. This is your host, Sean Daily. I’m very excited today because we’re starting a new series on Green Talk Radio, sort of a series within a series. It’s our Green Blogger series and we’re going to be profiling over the next several months or even up to a year, there’s a lot of green bloggers out there. So, we’re going to, one step at a time here, talk to hopefully all of the major green bloggers in the space to profile their stories, their websites and what they cover. So, today is the first installment in that series. Today, I’m talking to Sommer Poquette, who is otherwise known as the “Green & Clean Mom.” She’s a mother of two young children, an educator, green entrepreneur and founder and principal blogger for the Green Blog website, greenandcleanmom.org, which focuses on educating and helping other moms in their efforts to make their families greener and live healthier lifestyles. Sommer, welcome to Green Talk Radio! Sommer Poquette: Hi, Sean! Thanks for having me! Sean Daily: Well, it is our pleasure. I wanted to just start by where I really start with all my guests which is hearing the story. I want to hear really your personal story and I imagine that will probably sort of unfold into the story of why you started your website. So, why don’t we just start there? Sommer Poquette: Sure! Well, I am a typical mom and prior to becoming Green & Clean Mom, I was using toxic cleaning products and I wasn’t really buying organic food and I was just doing what I was taught and I was doing what I saw on TV, “Buy this, it kills germs.” I actually was watching an Oprah show, that just tells you how mom I am. I was watching an Oprah show where she was talking about toxic cleaning products. It was an Earth Day special. It was kind of my light bulb moment. I realized, OK, that’s why I rinse out the bathtub 15 times before my kids get in because I’m concerned about the toxic chemicals and that’s why I get a headache when I clean. I just kind of jumped right in. I went to the store and I bought “Green Clean” by [unintelligible] and I just started researching and trying to find products that were safe to use in my house. That’s kind of how it all began, something I already knew but I just hadn’t taken the initiative. It was like something had to click and that was my moment. So, that is how it happened. Sean Daily: Yeah, that was great! That moment is really for different people that I’ve talked to, especially people that are parents, can be things like that or for a lot of people, it was the Al Gore movie, “An Inconvenient Truth,” and for some people it’s just, I think, just having children itself is such a profound experience. Sean Daily: It really changes your perspective in terms of health and the planet and your consciousness, it is a very profound event. I’m also curious, speaking of the family, I’m curious about your family. How do they feel about going green in general and sort of this journey that you’ve embarked on? I guess it really brought them into it as well. Are any of them dragging their heels in the process or is everybody pretty much on board with what you’re doing? Sommer Poquette: [laughs] Well, I don’t think my kids really know any different. They don’t feel like they’re deprived of anything. I can’t tell you that they’ve never had blue food coloring or a hotdog or they run to the sprinkler. I mean, they’re normal children. They don’t really get why Mom might do this different. They just don’t know any different. My husband, he’s supportive. He’s proud of me, he’s adjusting. His biggest thing is our eating habits, eating less meat or eating more vegetables or buying organic. He’s adjusting, that’s a big thing for him. My parents, my sister, everybody; they’re dragging their feet. They tease me a little bit. They’re kind of where I was a few years ago and that’s OK. I mean, I’d rather lead by example and have them ask me questions than make them feel bad or pressure them to do what I’m doing because I had that light bulb moment. I think it has to happen with them too. Sean Daily: Yeah. Well, that’s so true. I mean, I think really people have to personally relate to it, to take stock and then to really I think take the steps. It has to mean something, it can’t be ultimately coming from a societal pressure or family pressure or anything else. It has to be intrinsic. Sean Daily: Versus extrinsic. So, what are some of the best ways that you found and that you’ve shared with your readership on the blog, greenandcleanmom.org, about saving money and going green? Because saving money I know is a huge thing for people right now. Hey, and we’re trying to combine that with going green. What are you suggesting to people? Sommer Poquette: Well, I don’t think that going green, I don’t think it has to cost a lot of “greens,” so to speak. There are green products out there, green cleaners. You just hear that word “green” everywhere. Most of the time, it’s a buzzword. It’s a marketing term now and it’s just kind of caught on like wildfire. Personally, I like to use green cleaning products but I don’t think that you have to. You can just go back to the basics like using the natural cleaners, the vinegar, the baking soda and those three R’s, reusing your objects in your house, recycling and just reducing what you use every day. I think those are the best ways to start going green because they don’t cost any money. Even if it’s just one thing like, OK, I’m going to start recycling. There, you started something. Sean Daily: Well, you made a couple of good points there and I agree with you. One of the things that I really like about your site and I think a lot of people are doing these days, but not everyone, is this idea of keeping it real. It’s like there’s this sort of sense and then sometimes one feels the pressure as a green educator that you have to be perfect or that that’s what you’re supposed to espouse to your audience. You don’t do that, you’re like, “This is me, this is my journey” and you’re keeping it real. People relate to that because that’s approachable as opposed to this idea of the green wizened one coming down from the mountain with the tablets and saying, “This is what you need to do…” Nobody wants to be preached at. So, I really applaud you for that, the way you do that on the site. Clearly, the success you’re having reaffirms the value of that. Sommer Poquette: Thanks! It’s hard. Sean Daily: Yeah. It is, but I think that ultimately, that’s what everybody really wants, somebody to keep it real. Again, I think most of the sites out there are doing that. Well, we’re going to just take a quick break here and then we’ll be back. We’re talking with Sommer Poquette. She’s the founder and principal blogger for greenandcleanmom.org, a green blog focused on helping moms and their families in their efforts to live greener and healthier lifestyles. Sean Daily on Green Talk Radio, we’ll be right back! Sean Daily: OK! We are back on Green Talk Radio. This is Sean Daily and I have with me Sommer Poquette. She’s the founder and principal blogger for greengandcleanmom.org, a green blog focused on helping other green moms in their journeys. Sommer, so we were talking before the break about greenandcleanmom.org and sort of what you talk about on the site, your own personal journey with yourself and your family in going green and how you chronicle that on the site. I’m kind of curious about how you handle the stress of trying to be green and not being able to do or research sort of everything all at once? I know it can be really overwhelming sometimes. How do you handle that process of the research and all of that? Sommer Poquette: I think that even the greenest personal that I know isn’t perfect and I don’t think that you can be unless you delve in society and you have modern inventions. It’s just impossible. Keeping in mind that nobody is perfect, that we all have some days where we’re a little less green and eco-savvy than others. That kind of is a comfort to me. I find this hard for moms who just learn about something for the first time. Like when I learned about the toxic cleaning products, I freaked and I went overboard. I cleaned everything out of my house. My husband came home and there was nothing to wipe the counters down with. He was confused, I was confused and that panic. I think that’s what I try hard, I learned from my mistake of panicking and going overboard, that not freaking out, starting small and just doing something every day, I think that is such a comfort to other moms. They don’t have to go overboard to do something. Baby steps is just really important because I did, I went overboard at the beginning and I’ve learned from my mistake. Now, when I learn about something new that is dangerous or is a hazard or there’s a recall, I try to calm down, research, talk with other green bloggers or friends and realize that not everything I read or hear is true, to take everything with a grain of salt and do what can work best for my family. Sean Daily: Yeah, and that’s so important because there’s a lot of sensationalism out there and there’s also a lack of information, holistically. This is interesting, yesterday CNN published an article about organic food as not being higher in nutritional value in a study and there are these other studies that say that they are, but they published the ones that says that they aren’t. So, yeah, it really depends on just what you read. Newsweek, a week before, published an article that was completely the opposite. So, yeah, it’s difficult! It’s difficult. Sommer Poquette: It is, and it’s confusing. It’s definitely confusing for the mom that is doing a hundred things during the day, the idea that she has to save the planet and not poison our children. It becomes extremely overwhelming and it’s almost – I don’t want to say it’s a burden, but sometimes it’s too much and I find some moms just closing their ears to it because it becomes overwhelming and the information becomes so confusing. They don’t know who to believe or what to do. That’s the sad part, the news taking one study and turning it around on us. I think it’s just trusting your instinct and doing what’s going to work really well for you and your family. Sean Daily: So, now, Sommer, I’m just curious. Let’s just pretend like there’s a mom – I don’t think it’s pretending because I think this is actually happening quite a bit, is you might have a mom out there who has found this podcast, for example, or your website and is in the process of wanting to go green. They’re inspired, as we talked about, but they’re sort of looking for those first steps. Other than going to your website and reading the blog there, what would you give them in audio format right now as far as beginning steps to take? What would you suggest as a place to start? Sommer Poquette: Well, I think the best place to start is where you and your family will be comfortable. Like maybe it’s something like recycling. It’s something that you and your family can accomplish and they won’t feel overwhelmed with. When it comes just to being environmentally-friendly, I think that’s a great place to start. Then, maybe it’s adding something next week such as, “OK, we’re going to try to drive less and we’re going to walk and ride our bike.” Maybe the next week you might decide that, “OK, we’re going to start adding organic milk” because you’ve done some research on the hormones and you’ve done some reading. So maybe that’s something because your children drink a lot of milk. So that might be a concern for you. I think it’s really making a list of what your family does and what they can incorporate into your life because every household runs a little differently, every budget is different. Every mom can handle different stresses. So, I think that’s really important. It’s just finding what’s going to work for you and your family. Just because your friend next door, that she might drive a hybrid and she might have a solar panel roof in her house, it does not mean that you have to either. It’s what’s going to work for you. Next year, you might be planning your garden. You never know where it will lead to and just starting and making it a family effort too. Sean Daily: Yeah, I think it’s a lot more fun when you get the family involved. I don’t know with your family but with mine it’s been really amazing to watch how my children have responded to it. My six-and-a-half year old son is now a chicken farmer [laughs] because of the chickens in the backyard. Sean Daily: That was one of the things we did. We have fresh eggs every morning and he loves it. Some days we have to tell him three times to go out and feed the chickens, collect the eggs or whatever, but most days there’s a lot of enthusiasm and not just for that part of it but also for other things involving recycling and reusing and saving the planet because we’ve connected and not in a fear-based way, but we’ve connected it to the health of our family and the health of the world in positive way. So, I find that children naturally want to contribute towards that. That’s amazing to me. It’s sort of overwhelming when you see that in its purity, sort of the spirit of the child and where their core values are. Sommer Poquette: I looked at him and I’m like, “What? !” and he’s like, “You have to turn off your car.” He read a book with about going green and stop global warming and hybrids. Some of it seems so over his head and some of it is, but he actually got that the emissions from my vehicle were having something to do with making the Earth hot and global warming. You just never know what they’re going to pick up on. They are sponges and just incorporating those little things into their day, maybe it’s a green book about global warming or whatever it might be. They pick up on it and they really start to – Well, they’re my little checks and balance system. Sean Daily: Yeah, it’s great. I have to say people listening in might think, “Oh, gee, well, if you’re the son or daughter of Green & Clean Mom or the Green Living Ideas Guy, you’re going to get brainwashed,” but I have to say that I don’t push that at all. I mean, it’s very holistic and it’s sort of just in context and it’s almost what their hearing. I’ve had a similar experience where it’s like, “Oh, let’s just in the car and go down to Whole Foods and get something for dinner” and my son will say, “Oh, maybe we should just walk because that’s like not really good for the Earth.” He’s not parroting back anything he’s heard from me. I mean, I swear. He talks to me about the website, from what he’s heard my wife and I talk about, overhearing. They are sponges, they pick it up and incorporate. I suppose it’s a survival mechanism for them to adapt to the philosophies and values from their parents but the way that happens is really kind of magical and I’ve been amazed by it. It’s interesting to hear you’ve had the same experience. Sommer Poquette: Well, that’s kind of the point of starting Green & Clean Mom, is that I can be [unintelligible] for moms to go green and impact their families in a positive way and just teaching your kids about the little things like conserving water, turning off the lights, going around the house and turning off the lights and doing those things and respecting nature and not littering. That’s part of parenting and that’s part of being a good role model and sometimes, we forget about those little things when we get wrapped up in, “Is this floor mapped?” and “Are the dishes done?” Sometimes those things really aren’t important. Sean Daily: Well, truthfully, what’s happened, I think, is that this has been incorporated into our core values because really parenting is partially, among other things, getting our children ready for the world and imparting and sharing our values with our children in hopes that they pick up the ones that we find most important and that we believe in. So, I think what’s happened is that a lot of us have taken on in addition to our other core values that we receive from our parents, there’s been a lot of ecologically driven ones based on where we are at this point in time on the planet. So, I think it’s just become an extension of those core values in many families. Sean Daily: I’m curious about your website, your long term plans. I’m just switching gears for a second, Sommer. Sean Daily: This is interesting, Ideal Buy sold, for those of you who didn’t hear about this, for about 20 million dollars basically to Disney. Any long term plans for your website along those lines of growing it and selling it or do you want to keep it for the long term? Anything you want to share with us there? Sommer Poquette: Well, it’s definitely something. It’s funny that you mentioned that, I have had some offers. I’ve had some people email and I think I’m at the stage right now where growing it is really important to me, the content, the research, the reviews, the communication and just the experience I have interacting with the readers and the audience. That’s really important to me right now, growing the forum and just kind of working from there, blogging, social networking. It’s a different world. I’d like to stay in it a little bit longer, but eventually down the road it would be something that I would entertain. Sean Daily: OK! Well, good. I appreciate you sharing that. I know that you’re very active in the social networking. Obviously, for all industries, social networking is really taking off, whether it’s MySpace or Facebook or YouTube or Twitter, which you and I are both on, as well as Facebook and some others. Are there any addresses other than the greenandcleanmom.org website that you’d like to share for people to contact you? Sommer Poquette: Definitely Twitter. I do frequent that and it’s kind of an addiction, I suppose you can say. So, I’m [email protected] That’s probably the best way that I reach out besides my website. There’s Facebook and there are other ways of contacting me, but Twitter, that’s nice. It’s a quick – 140 characters or less is just about right. Hopefully, if they can work all of their little glitches out, it can keep being a great way to reach out to audience members. Sean Daily: Yeah, that is the challenge. Twitter, for those of you who aren’t familiar with it, it’s a micro blogging service for putting in short entries as opposed to these longer posts. You can just sort of – they call it “Twitter Twitting,” twitting in things you’re doing during the day or links you like or what have you. They’re somewhat notorious for having service failures and you can call the “Fail Well.” We all know what the fail well is. It seems like it’s getting better but I always hate to say that because then the next day it will be crashing and we’ll lose all the history [laughs]. I’ll lose all your followers and all that, but, yes, for those of you listening in, definitely check out the website, greenandcleanmom.org. Again, your Twitter address is, you said “@greenmom” and so that would be Twitter.com/greenmom as well. That would be the homepage there. Great! Well, my guest today has been Sommer Poquette. She’s the founder and principal blogger for greenandcleanmom.org, a green blog focused on helping moms and their families in their efforts to live greener and healthier lifestyles. Sommer, thank you so much for being on this first Green Blogger episode of Green Talk Radio. It’s a real pleasure having you on the show! Sommer Poquette: Thank you, Sean. I’m really honored. It was nice to be here!